With web analytics, you would know how long your visitor stayed in your website, who they are and where they came from. You will be able to know their clickstreams, the keywords they used, and how they came to be in your website (referrer pages, search engines, etc). You would be able to determine how many times a user or a visitor returned to your website and which pages were given preference. In fact, a web analytics tool would tell you your website usage down to the last specifics. It would tell you about your visitor’s nationality and language. It can even pinpoint the city of origin. Of course, it will tell you the IP addresses and the host used for access. Further analysis would reveal if your visitors were there to actually check out your site or if they were mere strays. Most certainly, you will know how many visitors you get daily. Once you have carefully studied the actions of your visitors or web users, you would be able to act accordingly in order to optimize your website. You would also have an idea about the things that need changing and the aspects of your website that may appeal more to your market. You would know which pages are most viewed and which are basically ignored. You would be able to adjust certain aspects of your website that need improvement or adjustments. You could then fix any technical problems; or you could also improve, streamline or reshape site navigation to better assist your site users or visitors. Web analytics will be able to assist you in preparing for an e-marketing plan and course of action. This will be more effective because your plan would be based on actual facts and not mere probabilities. You would be able to really know what your market wants. By tracking the items which were highly viewed, you would learn which products received the highest response. You would also be able to enhance other programs that you have already employed like pay-per-click or PPC advertising. You would be able to get more clients, as well as monitor and keep your clients interested. 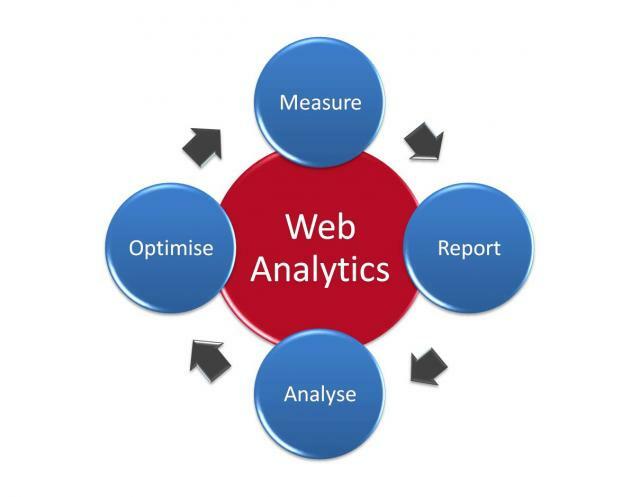 Excellent information shared here regarding on Web Analytics tool and its benefits. This precious information will be very helpful to all webmasters. Thanks you so much for that.